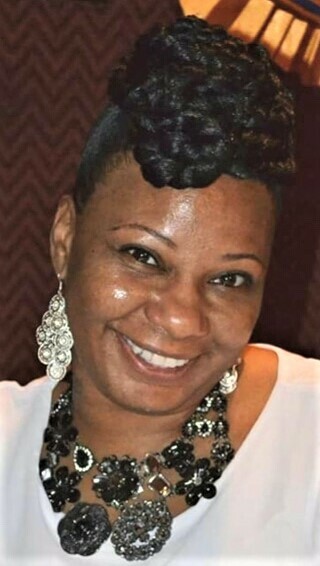 Obituary for O'Kisha K. Venable | Hooper Memorial Home Inc.
O'kisha K.Venable 44, of Harrisburg, PA, affectionately known by her family and friends as" Betty Dirt, Billie and Baby Bezz " passed away peacefully on Monday November 19, 2018 at 4:41 a.m. at Harrisburg Hospital. Predeceased by beloved granddaughter, Zai’Mera; she is survived by her parents Leroy & Susan (Prowell) Venable of Harrisburg; 5 children Da'Rell Eden Venable, Sashay Bellamy Venable, Jy'Bree Bellamy, Tyear Venable, and Jessika Burney, 8 grandchildren Da'Mer, Da'rell Jr., Da'shawn, Eyonni, Alana, Jordon, Pay'onna; 5 siblings Troy (Eureaka) Venable of Harrisburg, Shirelle (Shane) Venable Bryant of Atlanta, Georgia, Rochelle Prunty Venable of Harrisburg, Catherine Prunty Venable of Atlanta, Georgia and Chauntez Venable of Lancaster, PA. Also loved by a host of uncles, aunts, nieces, nephews, cousins and friends, as well as her companion, Antoine Penn of Harrisburg, PA.
O'Kisha was born in Harrisburg, PA on February 5th 1974. She attended Harrisburg High School and The Greater Zion Missionary Baptist Church, where she was baptized. O'kisha was currently employed at Holy Spirit Hospital as a Certified Nurse’s Assistant. She also did Private Duty and Home Health Care. She worked at the Family Dollar Store on 3rd and Emerald Streets. She was loved by so many who just came in the store to get a laugh or a hug from her. She was a hard worker and enjoyed meeting new people and was compassionate about helping others. O'kisha was a loving mother who lived for her children and always put them first. She kept a smile on her face and loved to laugh and crack jokes, she loved her family dearly. O’Kisha loved getting her hair and nails done; she loved shopping for shoes and purses, that was her thing. Out of all the colors in the world she loved the color blue, it represented hope, joy and happiness. We will miss her dearly, but we know she’s in the loving arms of our Lord and Savior, Jesus Christ and with Zai’Mera.